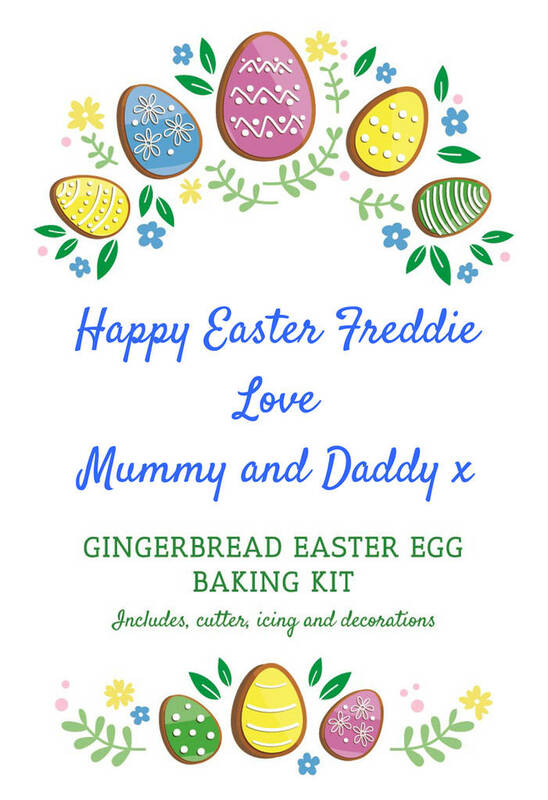 A personalised Easter Gingerbread Baking Kit including a delicious and foolproof gingerbread biscuit baking mix, Easter egg cookie cutter, icing and decorations for the biscuits. 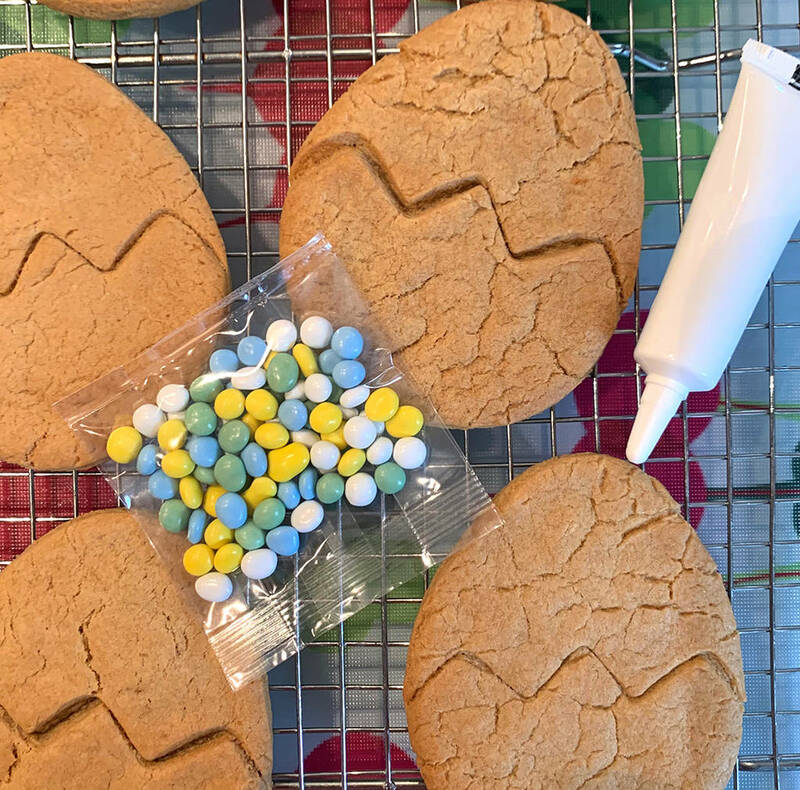 Everything you need to make and decorate perfect Gingerbread Easter Egg biscuits. 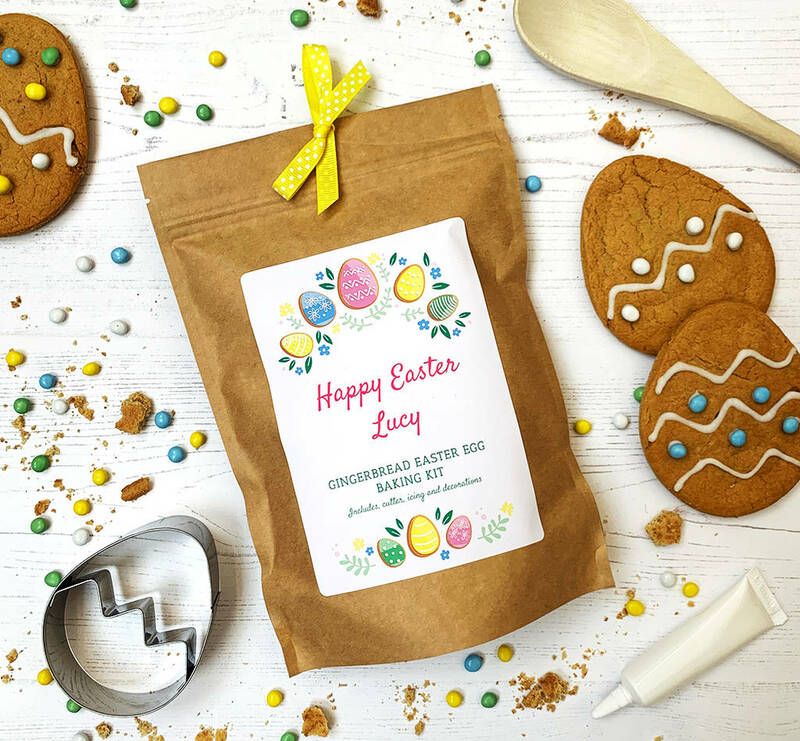 A lovely Easter gift, or Easter activity for any budding baker, this foolproof Easter baking kit will allow you to make and decorate approx 8 delicious Egg shaped gingerbread biscuits. 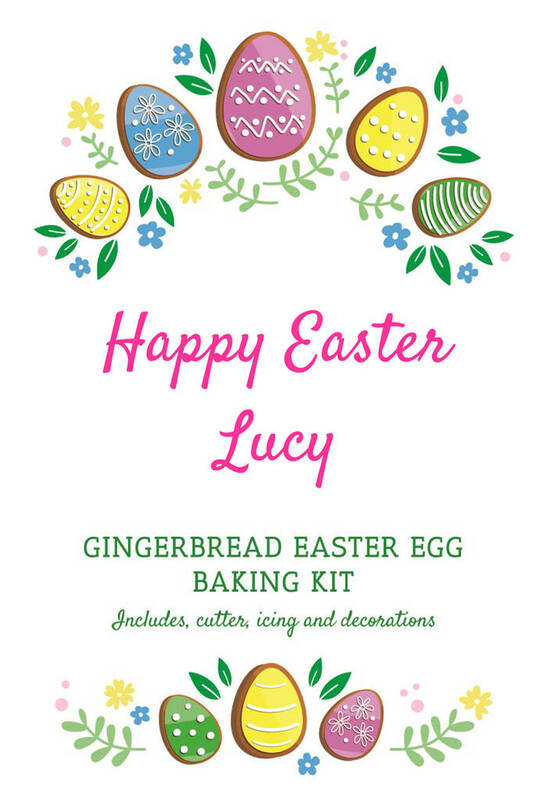 The kit includes a gingerbread mix, which just requires the addition of butter (or dairy free alternative), golden syrup and water to make. 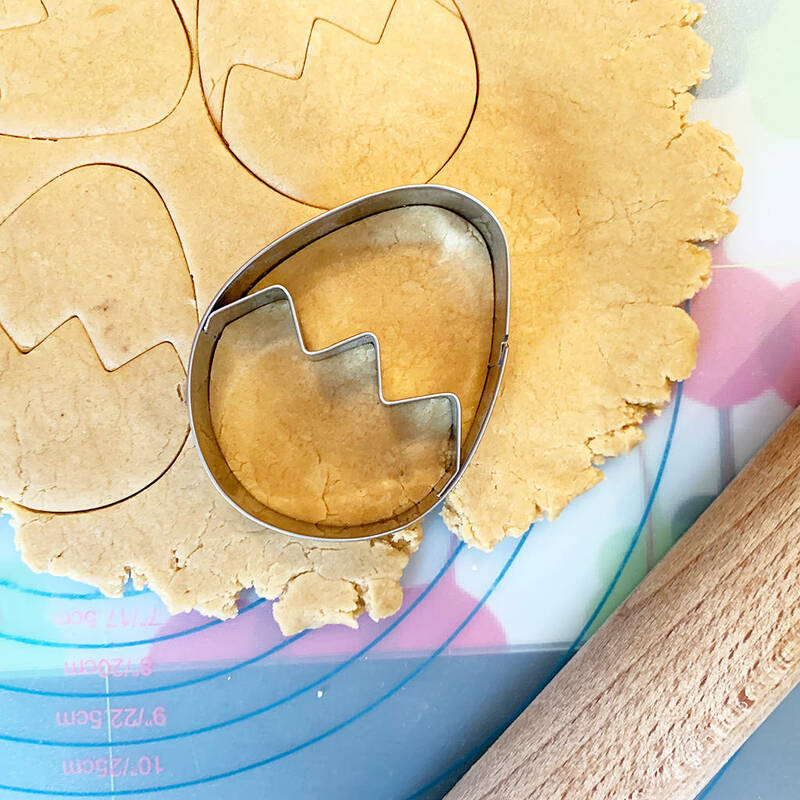 It also includes an Easter Egg cookie cutter, tube of white icing to decorate your biscuits and coloured candied chocolate nib decorations. 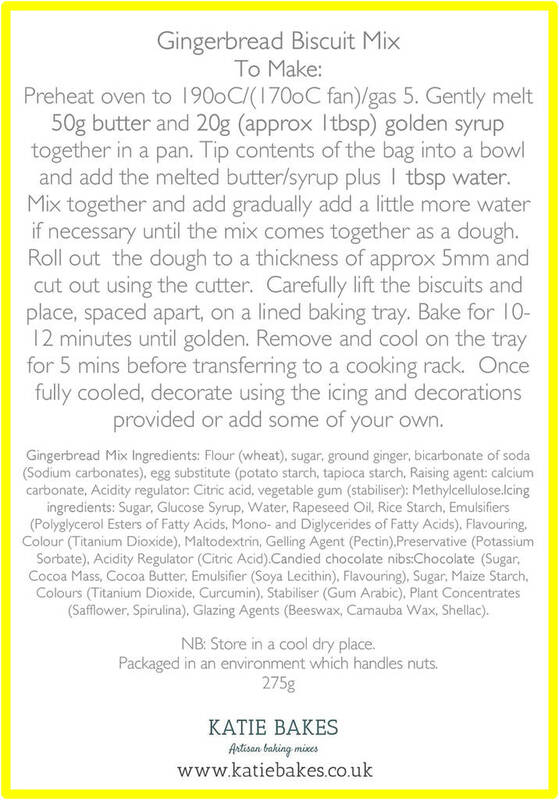 The label on the baking mix box can be personalised with a short message and you can choose between blue or pink writing for the personalised message. 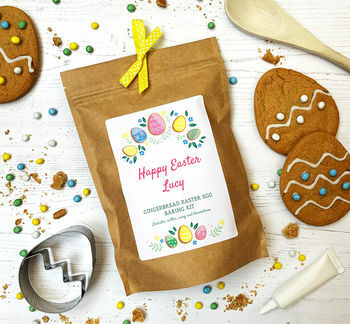 Gingerbread Mix Ingredients: Wheat, sugar, ginger, bicarbonate of soda, egg replacer. Icing ingredients: Sugar, Glucose Syrup, Water, Rapeseed Oil, Rice Starch, Emulsifiers (Polyglycerol Esters of Fatty Acids, Mono- and Diglycerides of Fatty Acids), Flavouring, Colour (Titanium Dioxide), Maltodextrin, Gelling Agent (Pectin),Preservative (Potassium Sorbate), Acidity Regulator (Citric Acid). Candied chocolate nibs:Chocolate (Sugar, Cocoa Mass, Cocoa Butter, Emulsifier (Soya Lecithin), Flavouring), Sugar, Maize Starch, Colours (Titanium Dioxide, Curcumin), Stabiliser (Gum Arabic), Plant Concentrates (Safflower, Spirulina), Glazing Agents (Beeswax, Carnauba Wax, Shellac). 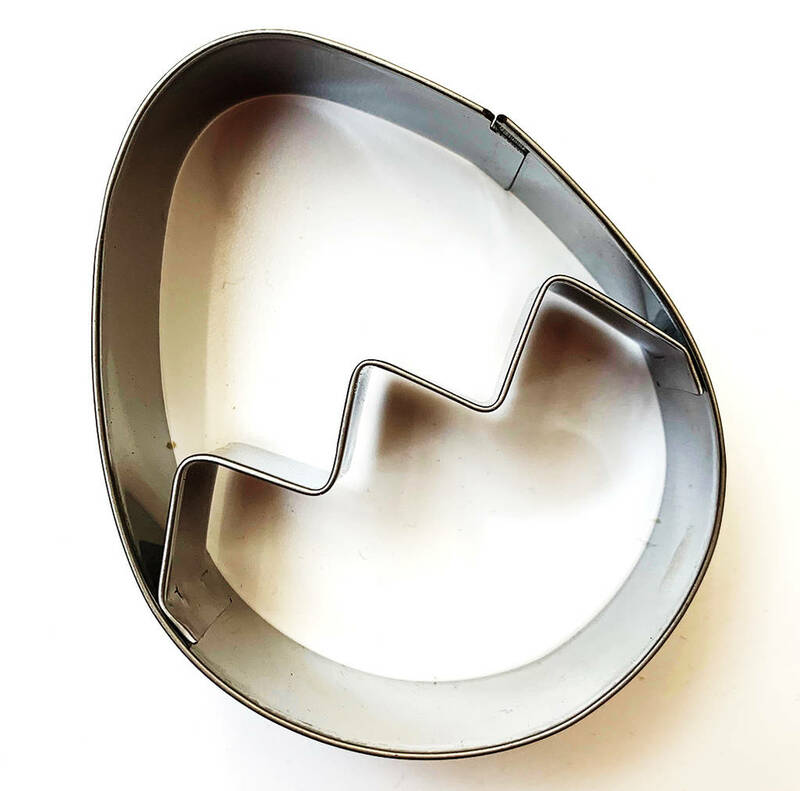 Suitable for those with an egg allergy as the mix does not contain or require the addition of egg. Suitable for vegetarians and vegans (if made with a butter substitute). Pouch dimensions H 23cm x W 16cm x D 4.5cm.